The business ecosystem is more volatile than ever with increased competition, the drive for digital transformation and an uncertain political environment. It becomes even more vital that membership organisations embrace the need for rapid change both in terms of attracting, retaining and bringing value to its members. Learning is an intrinsic part of our working life, whether we are an entry level employee or a senior executive, if as individuals, we are to demonstrate value and productivity to our organisation. However, time pressures are relentless, and learning is not immune from that pressure, so it is imperative that if we are to deliver digital learning to members that is modern, engaging, efficient and effective. For quite some time it has been recognised that for scale and flexibility elearning has been the direction for improving efficiency of learning delivery. However, much of the eLearning produced has been too long, too linear, uninspiring and generally lacking engagement “Wow factor” and perhaps most importantly lacking effectiveness in meeting learning objectives and engendering behavioural change. Today we are all learning whether at work or at home, using Google, YouTube and social media to find what we need and how to achieve it. This hunger for quick answers also goes for our time at work when we are looking to attain the skills, we need to do our jobs or in building our own professional development and career profile. Recent research is strongly suggesting that it is time to move away from the more “passive” elearning to a strategy of personalisation and video rich microlearning, delivering bite-size content on any device at any time at the point of need. Additional research from the World Economic Forum around the future of jobs indicates that it will be the softer social skills that need developing rather than the more technical skills that individuals and organisations will need to develop. Members/Learners demand a more agile approach to learning that gives them relevant information on a wide variety of subjects, anytime and anywhere. And they’re willing to go anywhere to find that information, so this hunger brings real opportunity for membership organisations to fill the void often left by less responsive L&D organisations. 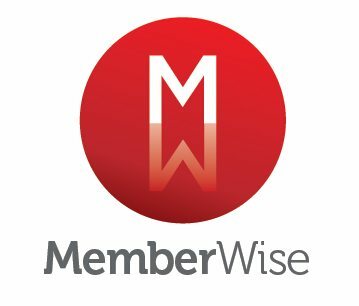 Member organisations need to add value by putting the best possible technology and content in the hands of learner members if it is to effectively contribute to the success and subsequent loyalty of its members. MicroLearn provides high quality, short, video led learning opportunities that can be accessed from any device, at any time, from anywhere.